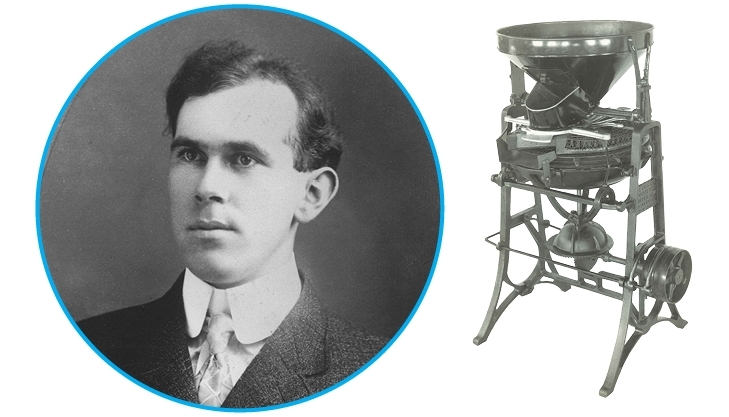 1910 >> Urschel was founded in Valparaiso, Indiana, U.S.A., by William E. Urschel with his invention of the Gooseberry Snipper, a machine that removed the stems and blossoms from the then popular berry, and was widely sold to Michigan canneries. The machine could do the work of 100 workers in a day. The original plant was located on Napoleon Street. 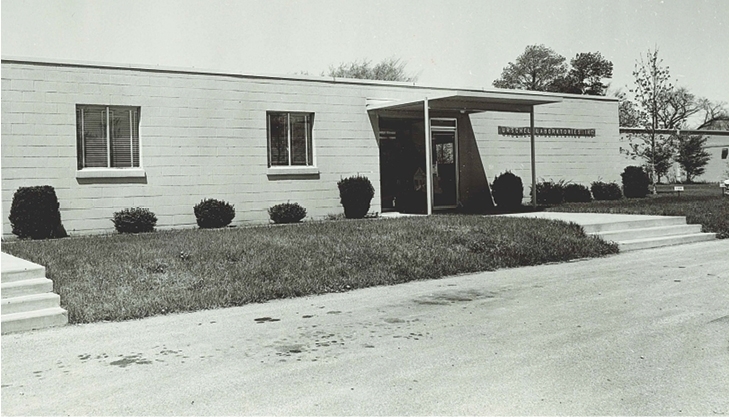 1957 >> Urschel moves from Napoleon Street to Calumet Avenue, and continues to expand this facility. With the company's ongoing success, more production space continues to be required to introduce new manufacturing machinery and additional employees; more than 28 additions occurred at the 250,000 square-foot Calumet facility, until the building was landlocked. 1972 >> Urschel International, Ltd. (UI) is created in England. Today, UI has 10 direct offices throughout Europe. 2004 >> Urschel Asia Pacific Pte Ltd. (UAP) is formed in Singapore. Today, UAP has direct offices in China, Thailand, and India. 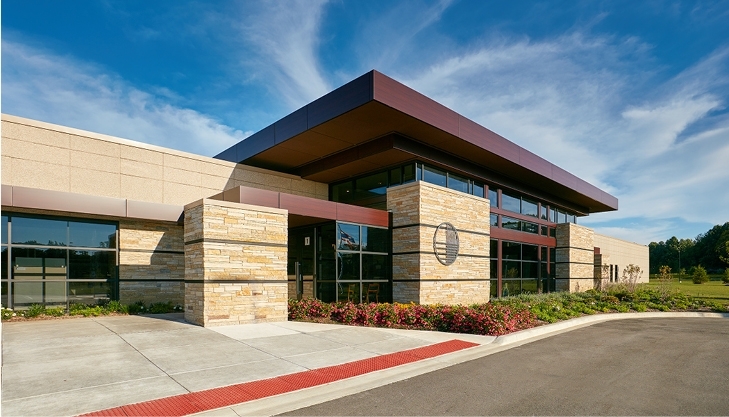 December 2012 >> Under the leadership of Bob Urschel, Chairman of the Board, and Rick Urschel, President/CEO, Urschel announces plans to construct a new campus at Coffee Creek Center in Chesterton, Indiana, on a 160-acre parcel. 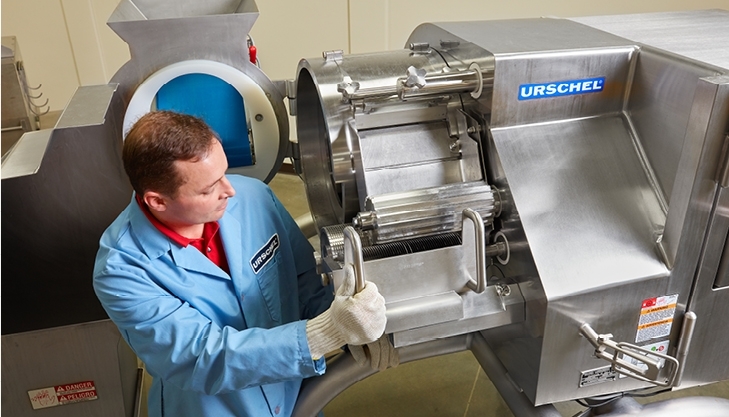 Urschel amps up part production to allow for a smooth transition. By August 2015 all departments have been successfully moved into the new building. The brand new state-of-the-art facility encompasses 385,000 square feet. March 3, 2016 >> Rick Urschel makes a major announcement that the Urschel family has decided to sell the previously, private-held family business and the company is converted to an ESOP (Employee Stock Ownership Plan). Urschel employees proudly embrace this change as the company becomes a 100% employee-owned company. Currently >> Urschel employs over 400 employees at this location. This is home to Urschel’s global headquarters and its sole manufacturing facility. 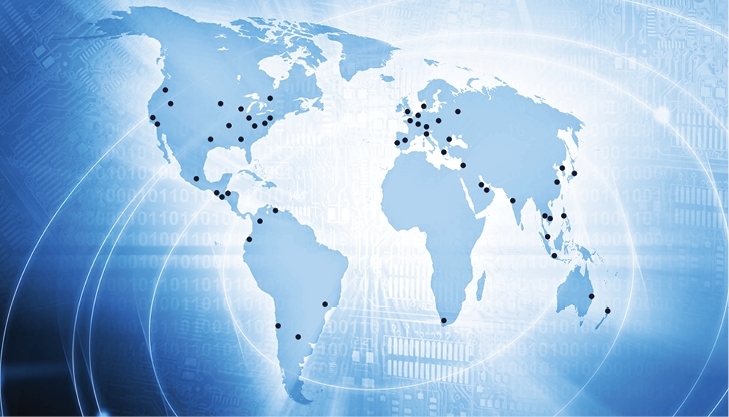 Urschel maintains direct sales offices in key locations throughout the U.S., Europe, Asia, and Latin America (over 130 personnel) along with a network of sales representatives spanning the globe. After a recent plant addition incorporating a fitness center, expansion of our test lab, and service area, the building is now over 400,000 square feet (about 7 football fields). The company continues to shatter sales records quarter after quarter, and is always researching the latest manufacturing techniques. The Urschel team looks at challenges as a way to learn and build on the company’s ever-growing craftsmanship and expertise.